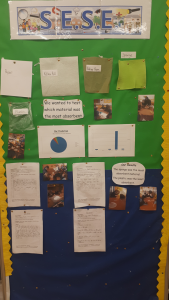 Ms Deacon’s 2nd Class have been learning all about adjectives this month in English. We learned that adjectives are describing words, which tell us more about how a noun looks, feels, tastes and smells. 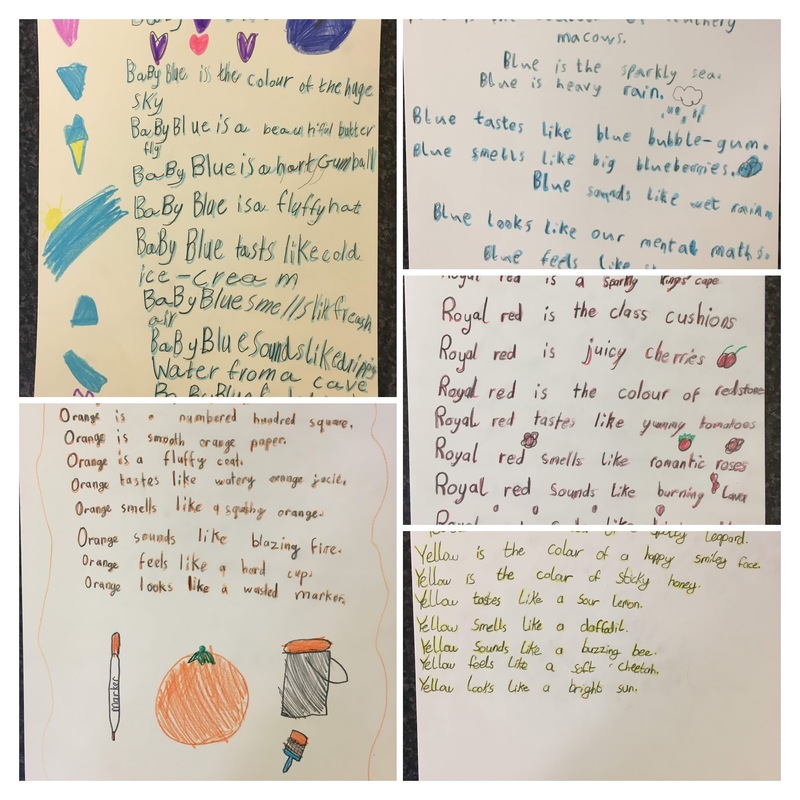 We have also been learning how to write ‘colour poems’. We wrote one each, based on our favourite colours. 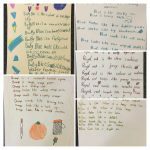 We made sure to include effective adjectives in our poems. 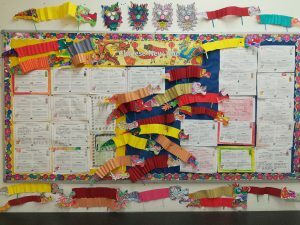 Ms. Kenny’s 2nd class have been learning about the Chinese New Year. 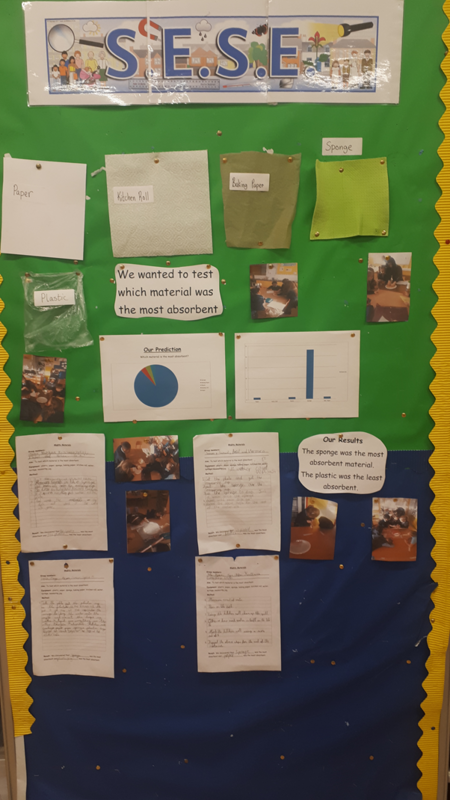 Ms. O’Brien’s 2nd class carried out an experiment to test which material was the most absorbent; paper, kitchen roll, baking paper, sponge or plastic. Before we carried out our investigation we predicted that the sponge would be the most absorbent. Each group received a pack of materials and had to decide the best way to carry out a fair investigation. We shared our results after the experiment and found that the sponge was the most absorbent material and the plastic was the least absorbent.